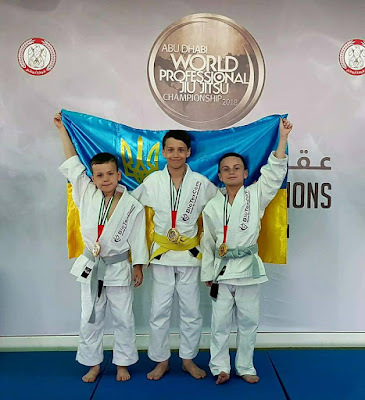 Jiu-jitsu.News: Ukrainian young fighters successfully performed at the "World Jiu-Jitsu Festival"! 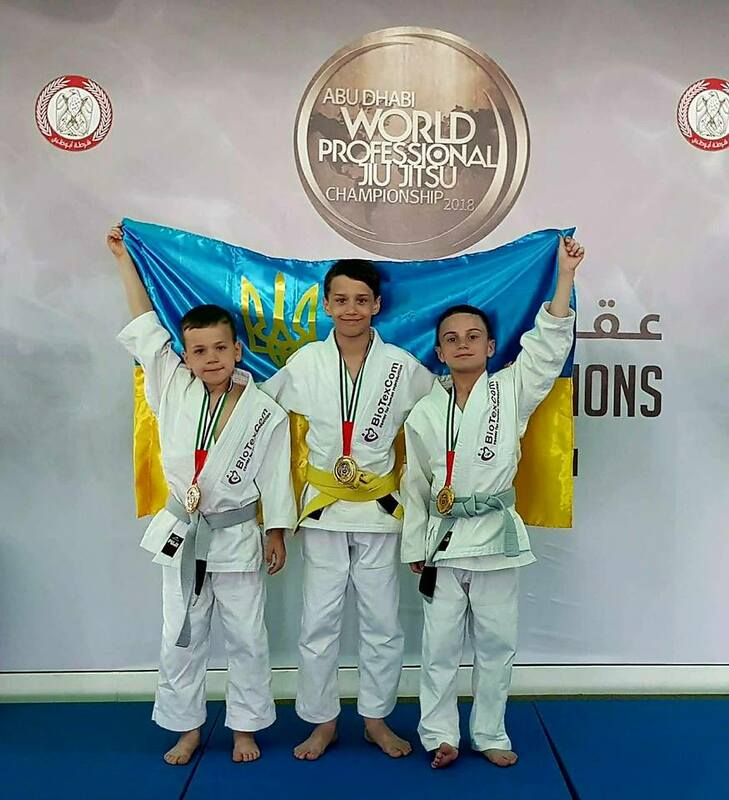 Ukrainian young fighters successfully performed at the "World Jiu-Jitsu Festival"! Prior to the “Abu Dhabi World Professional Jiu-Jitsu Championship 2018”, which has been taking place until the 28th of April, young members of the SC “Borets” / ZR Team Ukraine have succeeded at the "World Jiu-Jitsu Festival". The event is a part of the “Abu Dhabi World Professional Jiu-Jitsu Championship” and this year it was extended with additional categories, which allowed younger fighters to compete in Jiu-Jitsu tournament. Therefore, three Ukrainian fighters from the SC “Borets” / ZR Team participated in "World Jiu-Jitsu Festival" among hundreds of participants from all over the world. As a result Kostya Zhyvanov, Nikita Petushynskyi (both 8 years old) and Vlad Danchul (11 years old) won gold medals in their divisions. According to fighters’ coach Ievgen Skyrda, this event has allowed children to feel the competitive spirit and improve their skills. At the same time, none of the participants has stayed without award since medals were guaranteed for everyone.